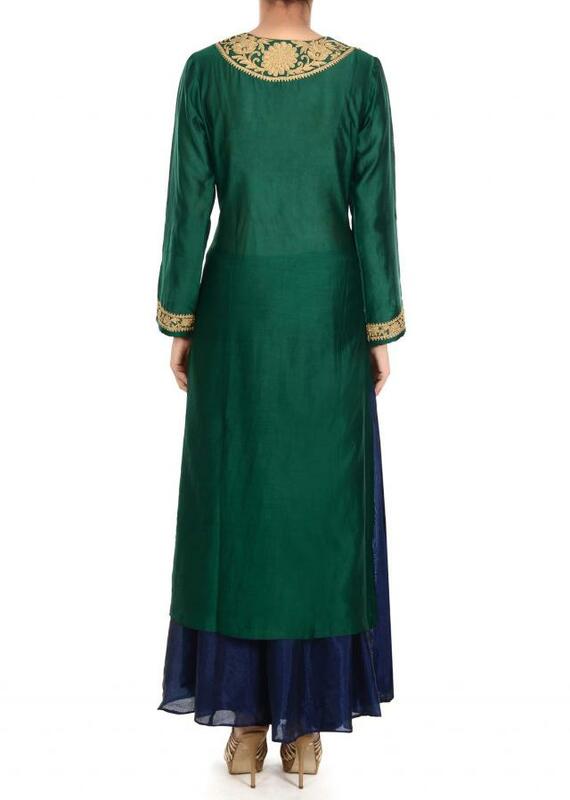 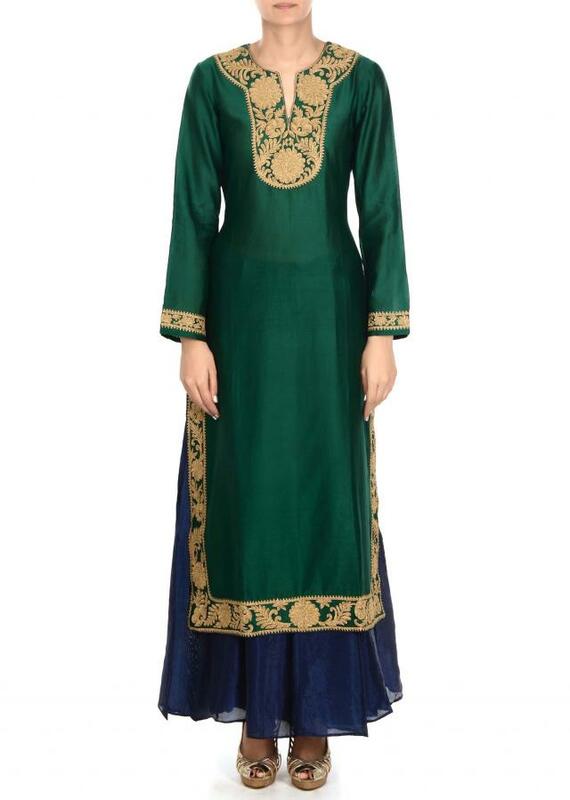 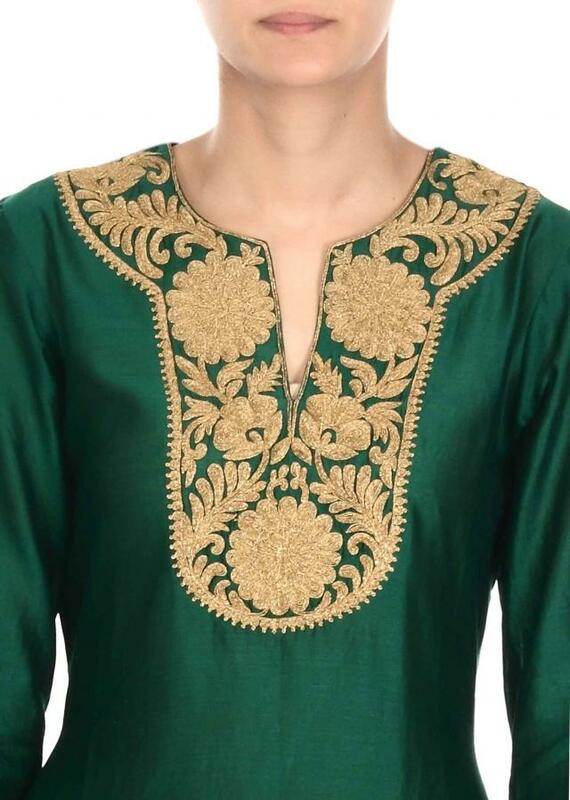 Green straight suit featuring in silk. Placket and sleeve are embellished in zari embroidery. 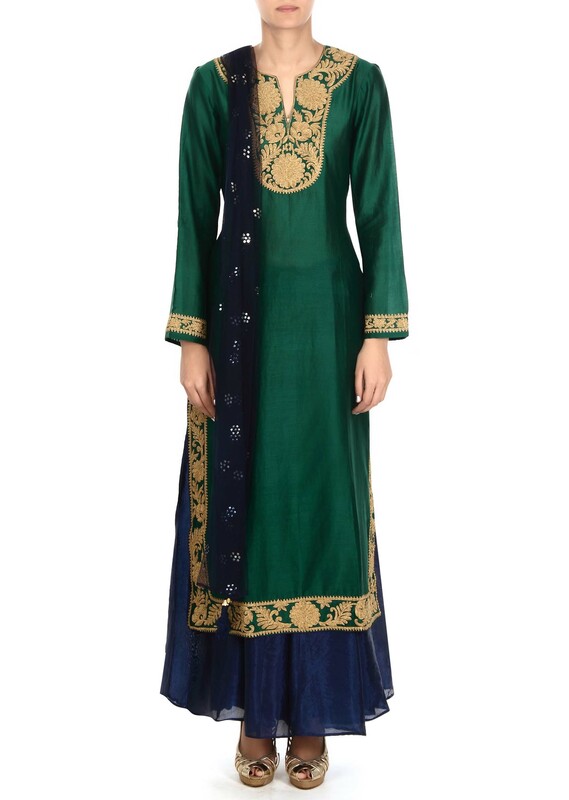 Matched with navy blue palazzo pant in silk and blue dupatta in net.